Geranium Magnolia – Essex County Naturals. 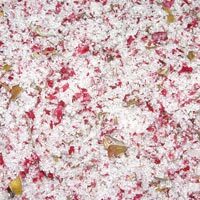 A seductive elixir of sensual Egyptian Rose Geramium and Chinese Magnolia essential oils sets the tone for your enticing spells while organic herbs and mineral salts melt away inhibitions in a tub built just for two. Combine a matching soap, bubbling bath melt, bath and body oil, skin butter, body scrub and room fragrance in the same aroma to create your own Rose Geranium Magnolia scent line.